My name is Paige, I am 38 years old and live in the “Last best place on Earth,” NW Montana. I am the mother of 2 teenage boys & a li’l mud-skippin’ princess. 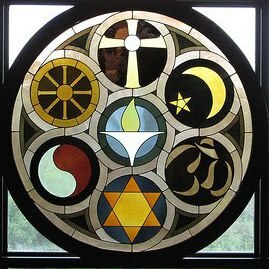 I’m a truth-seeking, peace-loving Unitarian Universalist, with an over-opinionated big mouth (& big brain to match). And I am lucky enough to be married to my best friend! I have my own business making nontoxic cleaning products & soaps. I also teach sexuality education, am a part-time administrator at my church (www.glacieruu.com), I work as the part-time administrator/organizer for a local human rights group (loveliveshereflathead.org), I volunteer with the Pride Foundation as a Youth Advocate, & I am a special ed para-educator, specializing in autistic students. We love big, reuse & recycle, try to eat reasonably healthy, enjoy life, respect every living creature, & live in one of one of the most beautiful places that nature could give us! Life is so good, & so exciting!! If you stroll through my posts you will find helpful hints, recipes, tips & tricks, money savers, & even occasional parenting advise. I am no expert, but I know what I know & I love sharing. Thank you for visiting! Love & Peace & Happy, Healing Vibes. Do you have a question johnny?